Nature allows horses to evolve their coats to suit changing seasons and climates, i.e. their coats will grow thicker in winter to help them cope with colder weather. 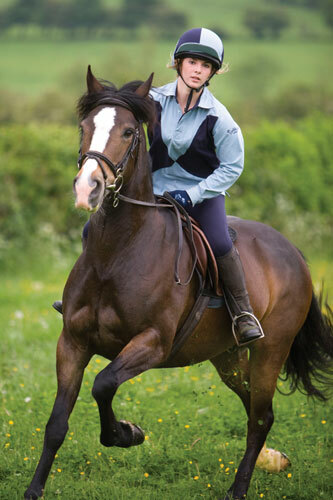 Renewal is a natural way of keeping horses and ponies coats in good health and condition. It seems strange, then, to clip that nice warm coat - just to replace it with a rug! But clipping is an important part of horse management, especially for competition horses. Because of the relationship between humans and horses, their thick winter coat is usually no longer required; many horses are now stabled during the winter and, together with concentrated feeds and artificial heating, can result in the animal becoming overheated. Many horses are now clipped in order to prevent such situations. Overheating can cause many problems for horses, just as for humans, and it is difficult to keep a horse in good condition if there is excessive sweating. Horses could also catch a chill if a thick coat takes a long time to dry after exercise, etc. ; the coat can be difficult to groom and may become matted or cause skin infections. Clipping can make it easier to inspect the horse's skin when grooming. This should be a daily check. Thick coat hair provides ideal conditions for bacteria to thrive, so clipping can prevent medical conditions from occurring. In the UK and similar climates, clipping usually occurs in October as this is when the weather begins to get cold and the growth in the winter coat is just beginning. By coincidence(? ), the start of the hunting season begins in October and the horse needs to be fit for the hunt. A second clip may be required in December and, again, lightly in February. Clipping will, of course, depend on the rate of growth, the weather and the specific horse. Most books advise not to clip after February. Use your own judgement or that of a someone with experience when deciding if and when to clip, to be of highest benefit your horse. The timings and style of clip should never be a copycat exercise just because someone else you know has already done it. Full clip - Total removal of all coat including legs and face. Used with many hunters and eventers. Hunter - Removal of all coat except legs and saddle patch. Blanket - Coat left in legs and wither to tail. Extends halfway down sides. Keeps loins and kidneys warm for horses that are in turnout. Chaser - The coat is left on top half of neck and body. Trace - Top part of coat and legs and head is left on. Good for horses in medium work or those that are turned out a lot. Bib - Neck and belly coat removed. Good for light work that causes a little sweat but still needs some coat protection.